Madame Chairman, President Benson, members of the Board of Trustees, faculty and staff…my thanks to you. To my esteemed fellow Doctors of Humane Letters…Mary Ramsay and Lucille Whipper…we have certainly come a long way and folks don’t even think of calling any of us baby. I am humbled to be in your esteemed company. To you the class of twenty oh eight…Congratulations…you have made it!!! Now before I start I need to know a few things…Will all of the women who are receiving degrees today please raise your hand…You and Mary and Lucille and I would not be receiving degrees today were it not for a woman named Carrie Pollitzer. Today we are celebrating 90 years of coeducation at the College of Charleston…but for an educational institution founded in the 1700’s it is interesting to look at what prompted the longstanding male student body and faculty to change their minds and admit women… You all need to know the story of Carrie Pollitzer…Carrie was one of the three Pollitzer sisters of Charleston…Carrie, Mabel and Anita. All 3 of them went to Columbia University in New York because there was no higher education institution for them to attend in Charleston in the early 1900s. In April of 1917 the United States entered World War One. Thousands and thousands of men began to be shipped overseas. Carrie Pollitzer was running the first kindergarten program in Charleston in a carriage house behind her family home on Pitt. St. She had been concerned for a long time that the College of Charleston did not admit female students. So in light of the impact the war would have on student enrollment she though it an appropriate time to press her case with the College Administration. She took it upon herself to call on Dr. Randolph, the President of the College at that time. She implored him to allow women to be admitted. Dr. Randolph, who adamantly opposed coeducation refused to consider her plea. But Carrie pressed on asking for a concrete reason for continuing to not allow women. He finally said to her that the College couldn’t afford to admit women as they didn’t have the money to add a separate ladies room. Carrie took that as her call to arms. When asked how much building a rest room would cost he told her it would cost $3000…which was a fortune in 1917. He obviously thought that a sum that size would intimidate Carrie into dropping the subject of coeducation. Au contra ire…instead Carrie said…let me see what I can do. She spent that summer (before AC!) and fall going door to door asking for donations from friends and neighbors and by the end of the year she had raised $3000. And in fall of 1918 ten women were enrolled at the College of Charleston…and now today all of us follow in their footsteps. What a day to vote. It was rainy and a little chilly, but the line for my polling place stretched for blocks. We were a mixed group that reflected the diversity of peninsular Charleston. Astonishingly, everyone was in a good mood, apparently sensing the history being made. I couldn’t help but think of the history that brought me to that line. A history of struggle that began with the writing of the Constitution. In the 1840s, the first organized movement for women’s suffrage began, and it didn’t end until 1920 when the 19th Amendment passed both Congress and 36 states giving women the right to vote. Just a few blocks from my polling place is the home of Anita Pollitzer, whose efforts with the National Women’s Party sealed the deal when she successfully lobbied a reluctant Tennessee legislator whose vote ultimately proved to be the one that broke down this barrier for women. It was a hard-fought battle and I think of those women who bucked the conventional wisdom on my behalf. While women have the vote in America, there are millions of women on this planet who don’t: The women of Afghanistan who have been so degraded by their culture and for whom the right to vote is the greatest of privileges but a fleeting privilege that will disappear overnight if the Taliban takes power again. The women of Saudi Arabia who not only can’t vote but aren’t allowed to drive or leave the country without a man’s permission. The women of Swaziland who live in a country where 26 percent of the population has HIV/AIDS. I vote on their behalf with the hope that the new administration will support efforts to bring respect and human rights to women worldwide. I also vote for the women in my own country who don’t have access to affordable child care, whose pay is a third less than their male colleagues and for whom health care is a luxury and care giving is not a valued commodity. In a year when Hillary Clinton and Sarah Palin broke through the glass ceiling of politics, when our vote ended up being the deciding factor, it is only right to recognize that we have a long way still to go. Our current rights are limited to laws and amendments to laws that can be overturned in a legislative session or by executive order. Our rights are tentative at best and can turn on the dime of public opinion or a state legislature dominated by one ideology. Jennet Robinson Alterman is executive director of the Center for Women in Charleston, S.C.
Are we really seeing the glass ceiling in US national politics shatter during this presidential election? I think we are. Hillary Clinton’s run for the Democratic presidential nomination was as serious, as well-funded and managed as any bid. In the end, Hillary did not get her party’s nomination, but it was due to complex reasons, not a single issue – her gender. And, it certainly wasn’t due to cigar smoke filled, back room politics of yesteryear. I’m sure that there are Americans that think McCain’s selection of Sarah Palin as his running mate is strictly to attract women voters to the Republican Party. While this certainly must be a Republican objective, the issue is more complex. 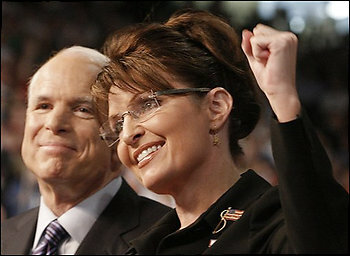 McCain has to believe that Sarah Palin’s upside will more than outweigh any downside of having a woman on the ticket. 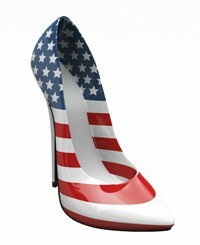 I think we are witnessing a sea change in this presidential election. Both parties are looking to strong, intelligent women to fill our highest elected offices. Neither Hillary Clinton or Sarah Palin feel like “tokens” to me. They are both the real deal and both are shattering glass ceilings.